The story of the Peranakan is a romantic tale rich in historical significance and tradition. The origins of this diverse people can be traced back to 1459 CE at the Strait of Malacca, a channel between the Malay Peninsula and Sumatra, Indonesia. 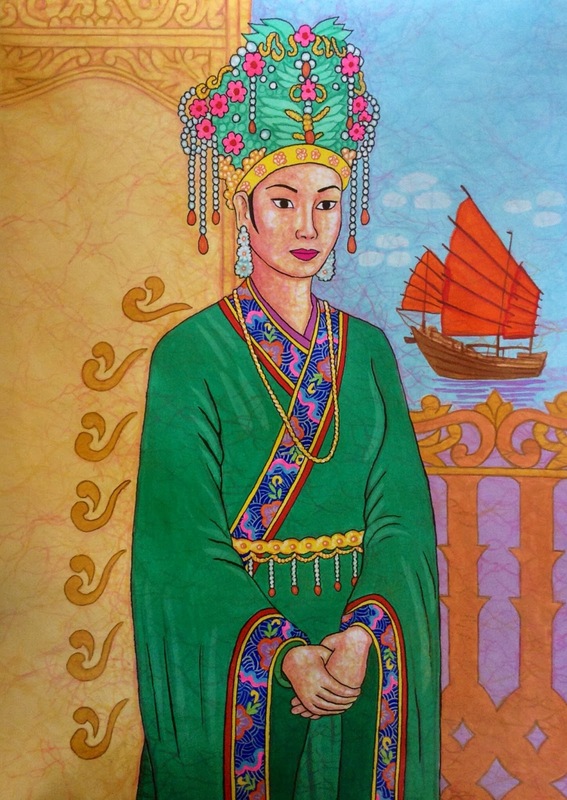 To show appreciation to the Sultan of Malacca and strengthen the tie between the two nations, Emperor Ming Ying Zong sent him a gift of 500 of the most beautiful and intelligent ladies in waiting from royal houses, as well as the lovely and graceful Princess Hang Li Po. The gentle and much-admired Princess became the wife of the Sultan and in time, the nobility and servants from this royal lineage became known by the name of the Peranakan or the Baba-Nyonya. The Peranakans are distinctive for their mixed heritage which includes a blend of Chinese, Malay, Portuguese, British, and Dutch influences. The Peranakan maintained this interesting mix of cultural influences and throughout the last 600 years, their culture, including their cuisine, language, music, and traditions, has shared values from both the West and the East. More about Peranakan, please visit Singapore Peranakan Museum.